This summer I taught an online webinar on Common Core State Standards (CCSS) for High School for The Principal Center’s program titled Smarter Online Common Core Educator Roundtable (SOCCER.) I approached the topic from the author’s point of view. Long before I committed to teach this webinar, I’d printed out the CCSS. I fully intended to give the topic careful consideration. I’d even thumbed through them several times. I told myself I’d go through the standards and get a handle on what the fuss was all about. But every time I looked at the thick stack of pages, I’d think about all the other things I needed to do and I’d do them instead. As the webinar date approached, I faced a very real deadline. I had five hours of time to fill—one hour a day for five days. There is nothing like a deadline to provide the necessary motivation. I picked up my highlighter, ink pen, and the hefty stack of Common Core State Standards and went to work. When I begin research on a new book, initially I get a general understanding of the topic, and then I concentrate on specifics. Studying the CCSS was the same way. First I needed to understand the “big picture” of the Common Core. I studied the standards, I compared the standards, I highlighted the standards, I made notes on the standards, I read the overviews, I consulted the exemplar texts—you get the picture. After a while, I made sense of them. By the time of the webinar, I could help others make some sense of them. Maybe some of the “big picture” details I learned will help you too. The CCSS were created to ensure that American high school graduates are prepared for college level work (without remedial classes) or the workforce. Also to ensure that American students are prepared to compete in the global marketplace. Before the CCSS were put into place, education standards varied from state to state. In our mobile society, common standards across the country were needed to make sure a student who moved from one state to another would not be left behind or be too far ahead academically. Common standards were needed make sure every American student would receive the best education possible no matter where they live. A student who attends school in a large city and a student who attends school in a small rural community both need a high quality education. In order for students all across the country to receive the same quality education, the CCSS established what each of them should know by the time they graduate from High School. The idea is that each student will learn the skill sets set forth in each grade level, which will be the foundation for the skills added the next year. The standards for 11-12 grades represent the skills every American student should have when they graduate and go out into the world. According to the CCSS Myth vs. Fact page, the text complexity high school students are reading now does not match the text complexity they will face in college or the work place. Therefore, the goal of the CCSS is to build a “staircase” of reading complexity throughout a student’s educational experience. Reading informational text is needed to teach students how to do close reading of text, how to think deeply about the text, and how to participate in discussions to gain greater understanding of the text. The CCSS do not dictate how a teacher teaches those skills. The teachers and school systems will decide how they will teach these skills required by the CCSS. Teachers will build lessons for their class just like they always have. They will have the freedom to choose complex informational books that are appropriate for their classrooms. Perhaps the biggest change for some is that CCSS requires every teacher to teach literacy alongside their content areas (this includes teachers of social studies, history, science and technical subjects). The CCSS brings with it a renewed focus on informational text. The standards require teachers to use complex, literary nonfiction books in the classroom. This is good news for those of us who write books that fit this need. Perhaps now, amazing nonfiction books will take their rightful place in educating students to succeed in a nonfiction world. What do I think after studying the Common Core State Standards? In a word: WELCOME! With Halloween just around the corner, I’m going to offer a solution to something some teachers find scary: incorporating nonfiction into their teaching. With the adoption of the Common Core Standards in 46 states, there is a strong movement to use more nonfiction in the classroom. But how, exactly, should teachers do this? The most common way that I’ve seen nonfiction used in classrooms is as a resource for students to find information to include in subject-area reports. There is nothing wrong with this, but many books written by Interesting Nonfiction for Kids (I.N.K.) authors and others are far more than a list of facts on a subject and can be used to do so much more. Our books are designed to inspire, engage, enlighten, challenge, and deepen understanding. We wrote them to open kids’ eyes to the world around them and to encourage kids’ to ask questions about their world. So really, what we are trying to do with our books is very much aligned with what great teachers are already trying to do with their classrooms. 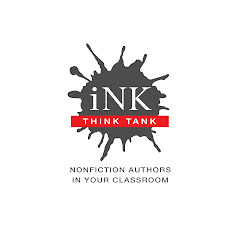 The best news of all is that many authors have thought deeply about how their books could be used in the classroom and have created teachers’ guides that offer discussion questions, writing prompts, hands-on activities, individual and group projects, theater scripts and more. But there is no organized way, as far as I can see, to get these powerful resources to teachers. So here is a start: What follows is a list of free teachers’ guides available for some of the best children’s nonfiction books out there. PLEASE share this list with a teacher you know, forward it, repost it, tweet it, share it on Facebook, etc. And please let me know about great teachers’ guides for nonfiction that you wrote or know about. If I get a lot of additions, I’d be happy to post another, larger, even more inclusive list. Happy teaching and Happy Halloween! The books and teachers’ guides are organized by subject area and then by grade level (preK-12) within subject area. So a subject-area teacher can find his or her section and a grade-level teacher can look for the grade-appropriate books in each subject area. Some books cross subject areas and so are listed under more than one category. Guide includes: Cross-curricular activities in art, language arts, math, science and especially history (historical changes and adaptations); and, personal, historical, social and societal timelines. Guide includes: Cross-curricular activities in history, endangered species, the scientific process, and geography by providing links to detailed lesson plans by National Geographic, and superb downloadable booklets, slideshows, audio and video clips, handouts, activities and teachers’ tips by Journey North. Guide includes: Creative art projects, hands-on musical games, and engaging history lessons for elementary and middle school students. The guide features lessons on mapping the Mozart's musical tour of Europe, writing timelines of Maria Anna Mozart's life as if she had been alive today, linking primary source letters written by the Mozart family and friends to scenes in For the Love of Music, and more. Guide includes: Research on women and other political figures in 20th century politics, Vietnam War; map Rankin’s movements; research gender politics in current local, state, and national office; poll class members on gender politics; creative writing, creative dramatics, research on 1960s protest songs; stage a women’s suffrage tea party or ‘60s anti-war rally. Includes: Discussion questions and downloadable study guide to come by 2013. Includes: Discussion topics and questions about echoes of history, presidential secrecy, and restrictions of civil liberties during war time. Includes: Discussion topics on themes explored in the book, including the Chinese Exclusion Act of 1882, deportations during the Red Scare, exclusion of Jewish refugees pre-World War II, detention of Japanese-Americans during World War II, and the exploitation of Mexican and Mexican-American laborers. Includes: Step-by-step online tutorial on how to conduct online photo research using the Prints and Photographs Reading Room at the Library of Congress. Includes: Further suggestions on how to conduct research at and download images from the Library of Congress. Includes: Activities and discussion topics related to race and racism, following one’s convictions even in the face of death, the power of song, and commitments to causes. What you’ll find: Background information about the research and writing of the book. Includes: Background information about the production of the book. Teachers’ guide: http://davidschwartz.com/blog/resources/mmab gets you to a free download for The Magic of a Million Activity Book, which is a teacher guide How Much Is a Million? Guide includes: A plethora of activities that build on How Much Is a Million? and invite children to explore the number 1,000,000 and other big numbers. Teachers’ guide includes: KWL reading guide; crosscurricular activities in math, language art, science, social studies, art, and music; related reading. Teachers’ guide includes: KWL reading guide; crosscurricular activities in math, language art with direct links to Common core standards, science, social studies, art, and music; related reading. Guide Includes: Links to great NASA website, hands-on activities such as make a crater, the real size of the planets, and the real shape of the solar system. Guide includes: Links to volcanology related websites; Q&A with author. Guide includes: The National Science Foundation, which included Life on the Ice on its reading list, has assembled a fantastic compendium of information about the polar regions specifically for elementary school teachers. It includes lesson plans across the curriculum from polar animals to the people of the Arctic to water, ice, and snow to polar explorers. Guide includes: Classroom discussion questions; writing activities; egg-drop, build a rover, drive a rover blind hands-on activities, and more. Spread the word. Share the list! Add more!